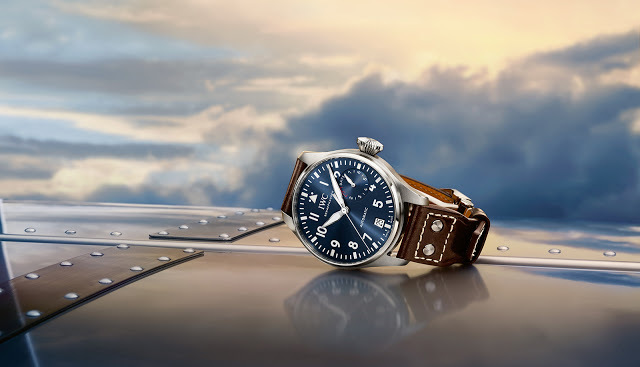 SIHH 2016 is all about the pilot’s watch for IWC, having introduced several entirely new models, along with facelifts for all the rest. Here’s an overview of the new range, including prices. The Pilot’s Watch Automatic 36 is a new, smallish (36 mm) wristwatch in a variety of colours intended for ladies. Offered on a bracelet or Santoni strap. The price is S$6250 on strap and S$7650 with the bracelet. The basic range of Pilot’s watches has been facelifted, with three key changes to the overarching design. 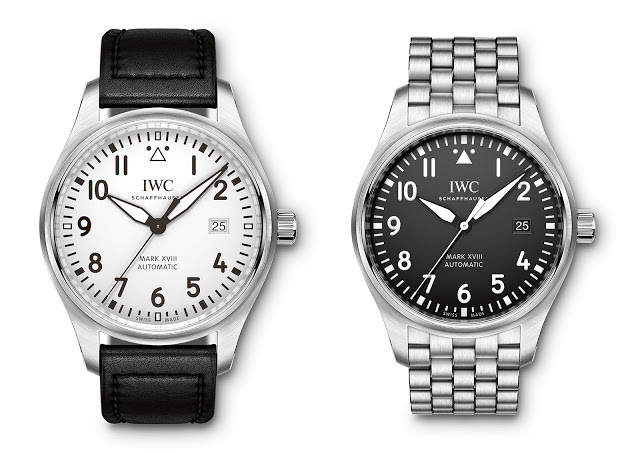 One is the removal of the triple-date window that characterised past generations of Pilot’s watches, and the other is the return of the digit “9” on the dial. And the last is the move downwards of the triangular marker at 12 o’clock, to more closely resemble the WWII originals. 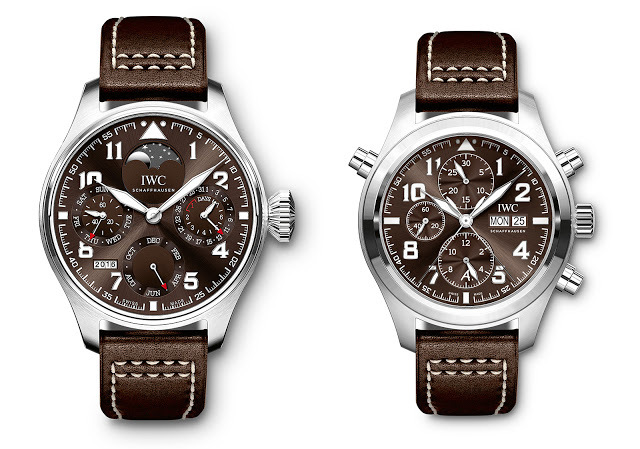 The range includes the chronograph, Big Pilot’s Watch and also the Mark XVIII. The Mark XVIII is a 40 mm automatic. This is available with a white or black dial, on bracelet or strap. Other fancier versions are the Mark XVIII “Le Petit Prince” and Miramar (see below). Prices are S$6250 and S$7650 for the Mark XVIII on strap and bracelet respectively, S$7650 and S$9050 for the Pilot’s Watch Chronograph on strap and bracelet respectively. The new Big Pilot is S$19,700. 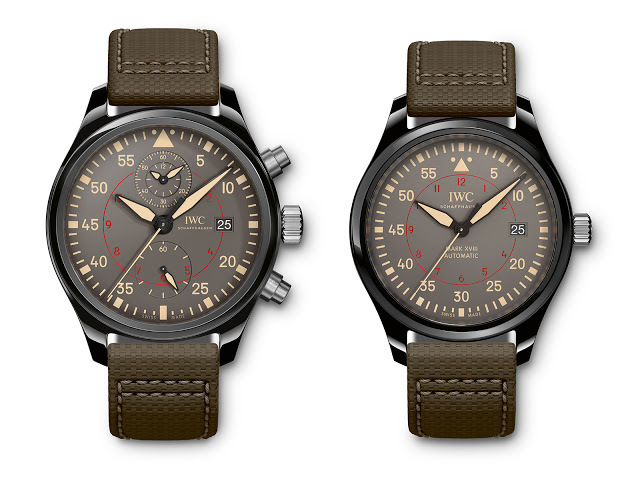 The Spitfire line has been similarly facelifted, including the addition of a red gold Big Pilot’s Watch with a grey dial. The Spitfire PCC Digital Date-Month is S$47,300, while the other Spitfire models are priced the same as the black dial pilot’s watch equivalents. Both lines of watches inspired by French author Antoine de Saint Exupéry continue to be a key part of the Pilot’s watch line. The “Le Petit Prince” range now includes an annual calendar in red gold (with the same movement as the Portugieser Annual Calendar), as well as a Mark XVIII and Big Pilot’s Watch. All have deep blue dials; none are limited editions. Prices for the “Le Petit Prince” line: the Annual Calendar is S$49,600, Big Pilot’s Watch is S$19,700, Pilot’s chronograph is S$7650, and the Mark XVIII is S$6250. The “Antoine de Saint Exupéry” range, on the other hand, has two new additions. One is a split-seconds chronograph, while the other is a perpetual calendar. Both have tobacco coloured dials. The split-seconds chronograph is S$18,200 while the perpetual calendar is S$39,700. And last are the ceramic case Pilot’s watches. The Top Gun Miramar looks much the same as before, but with the same tweaks applied to the other Pilot’s watches. Both Miramar watches, however, are now smaller. 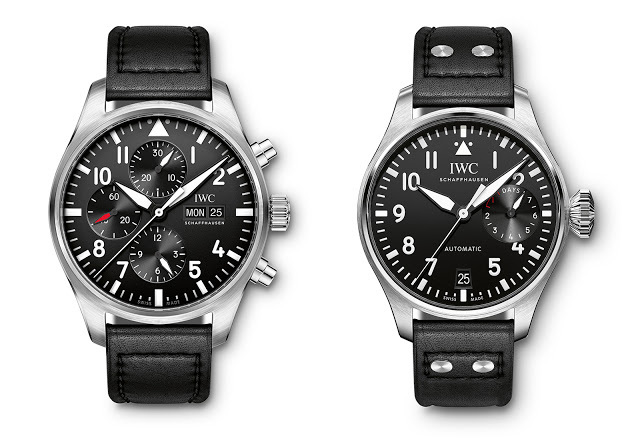 The chronograph is 44 mm in diameter, while the Miramar Mark XVIII is 41 mm. The Mark XVIII Miramar is S$8350 while the chronograph is S$16,900. The Top Gun (with is distinguished by its matte black ceramic case, unlike the glossy dark grey of the Miramar) has undergone a similar evolution. The dial has been streamlined – the red plane counterweight for the seconds hand has been eliminated – and cases downsized. The Top Gun Big Pilot’s Watch is now 46 mm, and the chronograph 44 mm. 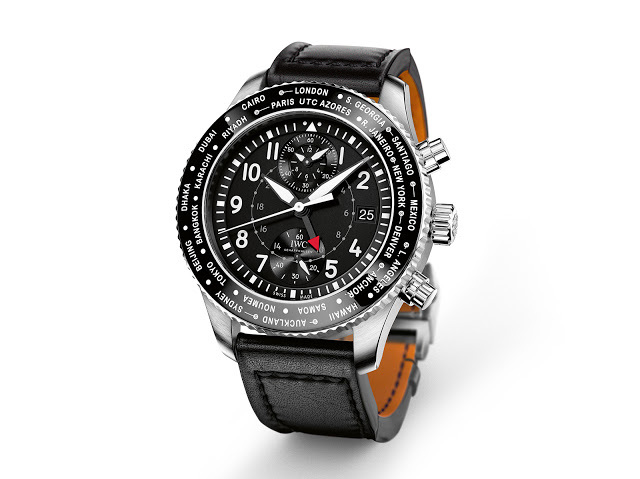 Prices are S$16,900 for the Top Gun chronograph, S$21,100 for the Top Gun Big Pilot’s Watch. Stay tuned for the rest of our SIHH 2016 coverage, live from Geneva. Updated January 18, 2016: Prices in Singapore dollars added.